Maidaid EVO2021 Premium Range Pass Through Dishwasher. Maidaid Evo2021 pass through dishwasher basket/rack size 500mm x 500mm. Rinse booster pump, Drain pumped and type AA breaktank comes as standard. Double skinned cabinet minimises both acoustic output and reduces heat loss. Full LCD display and userface giving uncomplicated machine status. 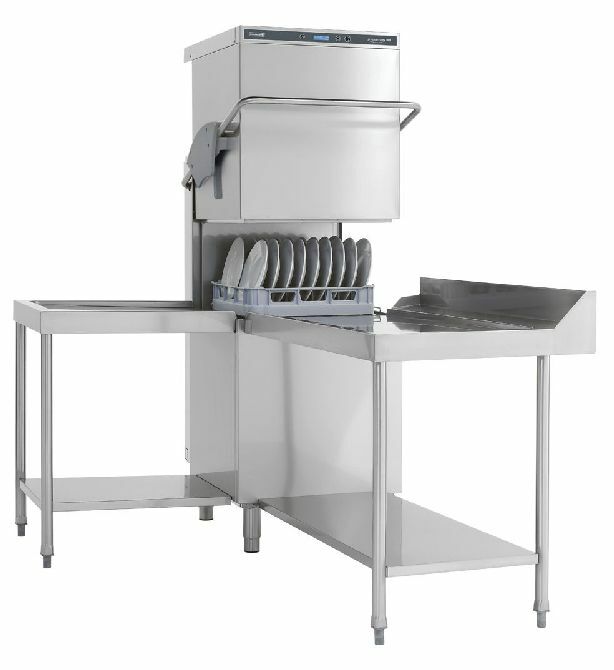 Supplied with one open, one pegged plate rack and cutlery baskets. Evo2021 Rack size 500 x 500mm. Dimensions W640 x D755 x H1540mm. 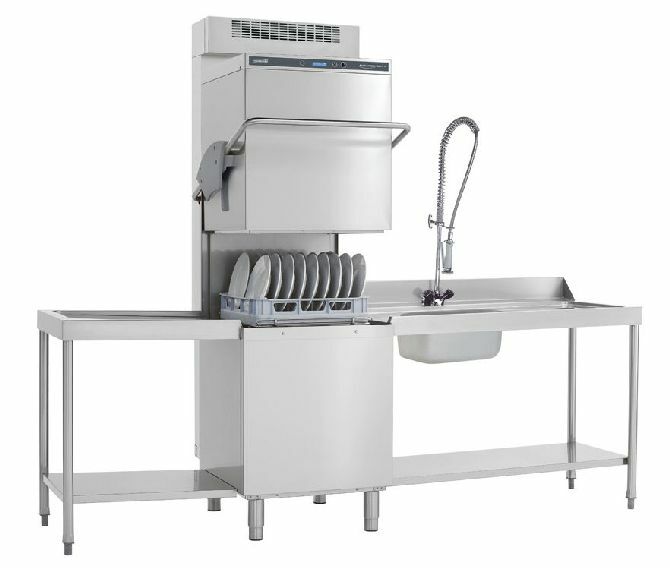 Height adjustable from 1540 to 1595mm (hood closed). From 2055 to 2110mm (hood open). Three selectable cycles ranging from 90-715 secs. GLASS cycle automatically changes parameters to suit glass washing. Power 4.7/6.7kW 20/30 amps required Can be supplied 3 phase. Super glide hood for ease of use. Supplied with one open, one pegged plate rack and cutlery basket.